What that’s saying (I think!) is that the contents of the innodb transaction log can only be replayed to datafile pages which are ‘clean’ -and that’s true for Oracle, too. 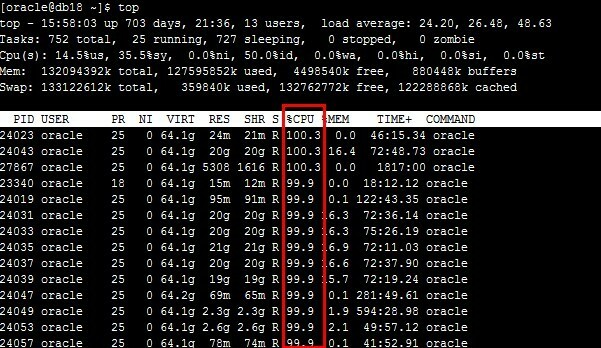 You can’t apply Oracle redo to an Oracle database block that is internally corrupted because some of its consituent “os pages” were written at a different time from others. When such partial writes happen, you get what’s called a “fractured block”, warnings in the alert log …and the data file is regarded as corrupt from that point on. Oracle’s fix to this potential problem, however, is also hinted at in the article you linked to: “Innodb does not log full pages to the log files”. That’s an interesting sentence because , you see, Oracle does write full pages to the logs! I should immediately qualify that: it only does so when you take a “hot backup” using O/S copy commands -because it’s only then that you have to worry about the problem. In other words, you only have to worry about the fact that you can only apply redo to an internally consistent database block if you’re actually in the business of applying redo… and you’re only doing that in the event of a recovery. And complete recoveries in Oracle (as opposed to mere crash recoveries) require you to have restored something from backup. So, it’s only during the backup process that you only have to worry about the problem of fractured blocks -and so it’s only then that Oracle says, ‘if you have put the tablespace into hot backup mode (alter tablespace X begin backup), then the first time a block of data is changed, the entire block should be written in a consistent state into the redo (transaction) logs. Then, if the datafile copy of the block in the backup turns out to be fractured, we’ve got a known good copy in the redo we can restore in its place. And once you have a clean block as a starting point, you can continue to apply redo from that point on’. Oracle has an alternative (and more up to date) mechanism for achieving this “I know your data block is clean” starting state, though. It’s called RMAN -the Oracle backup and recovery tool. Unlike your OS copy command, it’s an Oracle utility… so it understands the concept of Oracle blocks, and it can therefore check that a block that’s been copied has been copied consistently, with all its constituent OS ‘pages’ written coherently to disk in the same state. It knows how to compare input and output in a way no OS command could ever hope to do. So when RMAN copies a data block hot, it reads the copy, compares it with the original -and if it sees the copy is fractured, it just has another go copying the block again. Repeat until the copy is indeed verified as a good copy of the original. No need to write the block into the transaction log at all, because you know that the backup file itself contains the necessary clean block copy. So, putting that into practice. Let’s say your server corrupts data on the disk for whatever reason and, in the process, your Oracle instance dies. You try and restart Oracle, but you get told that recovery is needed (you might get a message that file 16, for example, can’t be read). So you restore file 16 from your hot backup taken with OS commands. In that backup, one of the blocks is fractured, because only part of the Oracle block had hit disk at the point the backup was performed. So you restore a fractured block. But that’s not a problem, because as redo is replayed, you’ll find the clean copy of the block in the redo stream, and restore that over the top of the fractured block. The rest of the redo can then be replayed without a problem. Or, you restore file 16 using RMAN… and what it restores cannot be fractured, because it checks for that before it reports the original backup a success. Therefore, you restore a clean copy of file 16, and can apply redo to it without drama. Either way, you get your database recovered. So, the article you linked to nails the important matter: “It does not matter which page version it is – it could be “current” version in which case Innodb will skip page upate operation or “former” in which case Innodb will perform update. If page is inconsistent recovery can’t proceed.” Absolutely true of Oracle, too. But Oracle has two alternatives for ensuring that a clean version of the block is always available: write a whole block into redo if it’s changed whilst the database is being backed up with OS commands, or make sure you only write clean blocks into the backup if you’re using RMAN -and you achieve that by multiple reads of the block, as many as are necessary to ensure the output is clean. Oracle’s solutions in these regards are, I think, a lot more efficient than double-writing every block all the time, because the only time you have to worry that what’s on disk isn’t consistent is, as your linked article again points out, when ‘power failure’ or ‘os crash’ happens. That is, during some sort of failure. And the response to failure that involves corruption is always to restore something from backup… so, it’s really only that backup that needs to worry about ‘clean pages’. Instead of writing everything twice to disk during normal running (which sounds like a potentially enormous overhead to me! ), therefore, Oracle only has to employ protective measures during the backup process itself (which should, ordinarily, be a mere fraction of ‘normal running’ time). The overhead is therefore only encountered sparingly and not something you need worry about as a potentially-constant performance problem. In closing, I’ll second Aman’s observation that it is generally and usually the case that any variation away from the default 8K block size is a bad idea. Not always, and there may be justification for it in extremis… but you will certainly be at risk of encountering more and weirder bugs than if you stick to the defaults. 所以这一段可以理解为当你需要备份的时候 如何避免partial write 因为在这个时候最容易发生断裂的块或者页。而此前别人提问的是oracle是否有类似double write的手法避免常规的partial write. Thanks HJR for detailed analysis. if they matched (means no partial write), then everything is fine, if not matched (partial write happen), just overwrite the datafile blocks with the blocks from double write buffer. if they matched (means no partial write), then everything is fine, if not matched (partial write happen), just apply the redo from the redo logs. So no media recover is required. Based on your anaysis, oracle needs media recover. Based on your analysis, so does mysql. It just applies it in a very slightly different fashion, and calls it all something else. 对于oracle来说 内部不一致的block.仅仅有 redo也是不够的.我们可以通过dbf检查到逻辑问题的block,去repair这个block,前提是需要有备份。这里用到的方法是media recovery里的block recovery. Sep 11 13:56:56 db18 nrpe: Host 10.4.0.238 is not allowed to talk to us! Sep 11 13:57:08 db18 nrpe: Host 10.4.0.238 is not allowed to talk to us! Service "misc" has 1 instance(s). PSP stands for Process SPawner and this process has the job of creating and managing other Oracle processes. perfect ! no rows lost. Thu Aug 15 17:25:57 2013 - [info] try to check (10.0.0.63:1521:dgha) and (10.0.0.24:1521:dgha) are really cluster or not. Thu Aug 15 17:25:57 2013 - [info] ssh to 10.0.0.24 success. Thu Aug 15 17:25:59 2013 - [info] connect to (10.0.0.63:1521:dgha) success. Thu Aug 15 17:25:59 2013 - [info] (10.0.0.63:1521:dgha) and (10.0.0.24:1521:dgha) are really cluster. Thu Aug 15 17:25:59 2013 - [info] ssh to 10.0.0.63 success. 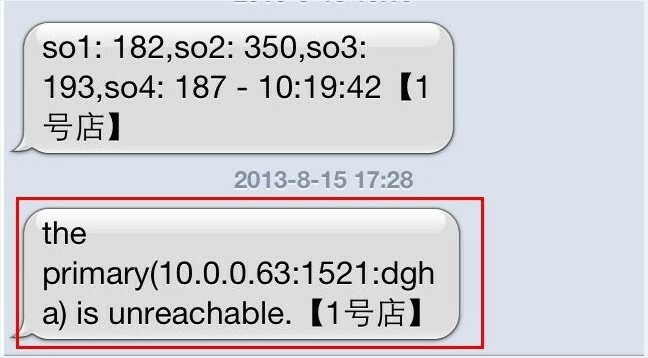 Thu Aug 15 17:25:59 2013 - [info] ssh to 10.0.0.24 success. Thu Aug 15 17:26:03 2013 - [info] ssh to 192.168.254.63 success. Thu Aug 15 17:26:03 2013 - [info] ssh check passed. Thu Aug 15 17:26:03 2013 - [info] (10.0.0.63:1521:dgha) /home/oracle/oraha/db_stop.sh check passed. Thu Aug 15 17:26:03 2013 - [info] (10.0.0.24:1521:dgha) /home/oracle/oraha/db_start_step01.sh check passed. Thu Aug 15 17:26:03 2013 - [info] (10.0.0.24:1521:dgha) /home/oracle/oraha/db_start_step02.pl check passed. Thu Aug 15 17:26:03 2013 - [info] (10.0.0.24:1521:dgha) /home/oracle/oraha/db_start_step03.sh check passed. Thu Aug 15 17:26:04 2013 - [info] (10.0.0.24:1521:dgha) /home/oracle/oraha/db_check.sh check passed. Thu Aug 15 17:26:04 2013 - [info] scripts under /home/oracle/oraha check passed. Thu Aug 15 17:31:50 2013 - [debug] UPDATE HACHECK success. Thu Aug 15 17:32:03 2013 - [warning] connect to (10.0.0.63:1521:dgha) was abort! connect again. Thu Aug 15 17:32:03 2013 - [info] I will destory dbh. Issuing rollback() due to DESTROY without explicit disconnect() of DBD::Oracle::db handle (DESCRIPTION=(ADDRESS=(HOST=10.0.0.63)(PROTOCOL=tcp)(PORT=1521))(CONNECT_DATA=(SID=dgha))) at oraha.pl line 509. DBI db handle 0x1efbf710 cleared whilst still active at oraha.pl line 509. DBI db handle 0x1efbf710 has uncleared implementors data at oraha.pl line 509. Thu Aug 15 17:32:08 2013 - [warning] destory dbh  was abort! Thu Aug 15 17:32:21 2013 - [debug] the dbh is null. Thu Aug 15 17:32:26 2013 - [warning] connect to (10.0.0.63:1521:dgha) was abort! connect again. Thu Aug 15 17:32:26 2013 - [info] I will destory dbh. Thu Aug 15 17:32:34 2013 - [debug] the dbh is null. Thu Aug 15 17:32:39 2013 - [warning] connect to (10.0.0.63:1521:dgha) was abort! connect again. Thu Aug 15 17:32:39 2013 - [info] I will destory dbh. Thu Aug 15 17:32:54 2013 - [info] ssh to 10.0.0.24 success. Thu Aug 15 17:32:57 2013 - [info] ssh to 192.168.254.63 success. Thu Aug 15 17:32:57 2013 - [info] try to check (10.0.0.24:1521:dgha) is ready to failover to primary or not. Thu Aug 15 17:32:57 2013 - [info] the standby open mode is:MOUNTED. database role is:PHYSICAL STANDBY. Thu Aug 15 17:32:57 2013 - [info] standby (10.0.0.24:1521:dgha) healthcheck is passed. Go on. Thu Aug 15 17:32:57 2013 - [info] (10.0.0.24:1521:dgha) /home/oracle/oraha/db_start_step01.sh check passed. Thu Aug 15 17:32:58 2013 - [info] (10.0.0.24:1521:dgha) /home/oracle/oraha/db_start_step02.pl check passed. Thu Aug 15 17:32:58 2013 - [info] (10.0.0.24:1521:dgha) /home/oracle/oraha/db_start_step03.sh check passed. Thu Aug 15 17:32:58 2013 - [info] (10.0.0.24:1521:dgha) /home/oracle/oraha/db_check.sh check passed. Thu Aug 15 17:32:58 2013 - [info] standby (10.0.0.24:1521:dgha) scripts under /home/oracle/oraha check passed. Thu Aug 15 17:32:58 2013 - [info] Power of 10.0.0.63  was successfully turned off. Thu Aug 15 17:35:58 2013 - [error][oraha.pl, ln180] Oracle on 10.0.0.24 shutdown failed.Kill the pmon next. Thu Aug 15 17:38:08 2013 - [info] try to check the new primary(10.0.0.24,1521,dgha) after failover . Thu Aug 15 17:38:08 2013 - [info] connect to (10.0.0.24:1521:dgha) success. Thu Aug 15 17:38:08 2013 - [info] the new primary open mode is:READ WRITE. database role is:PRIMARY. Thu Aug 15 17:38:08 2013 - [info] (10.0.0.63:1521:dgha) failover to (10.0.0.24:1521:dgha) successful. 2. 模拟listener hang (kill -STOP pid of listener and kill active session) 新建process无法update timeout超时–>ssh主机执行abort—>连接至远程卡powerff掉主机—>切换至备选standby. Service "testcdb" has 1 instance(s). Service "testcdbXDB" has 1 instance(s). Service "liuyang" has 1 instance(s). Service "testdbXDB" has 1 instance(s).